By Frater Ako Walker, C.Ss.R. On September 22, 2017, a few days after Hurricane Maria battered Dominica, the parish of St. Theresa in Barataria held a historic meeting of Dominicans living in Trinidad and Tobago. The meeting was chaired by Father Elton Letang, C.Ss.R., Father Cornelius Phillip, FMI, a Dominican priest working in Trinidad, and other prominent Dominican/Trinidadian citizens. The main item on the agenda was how Dominicans living in Trinidad could help their family, friends, and other loved ones back home. Nearly 100 Dominicans were present along with other well-wishers from the parish who were in solidarity with our sisters and brothers from the Nature Isle. Before strategizing, participants were given a chance to update those present about whether they had heard from their families and the status of their homes, etc. Many of the stories were very painful to listen to since at that time many people had not been able to receive information from their families. One woman said she had lost three members of her family who had been swept away by the raging waters. Even the Redemptorists had no knowledge as to whether the communities of Belfast and Eggleston were still standing. After careful deliberation, it was decided that the parish would be a collection point for tinned food, baby items, medicine, water, and other nonperishable materials. In the ensuing days the generosity of those in the parish and other citizens was evinced by the quantity and quality of items donated. The parish was able to make two trips of a large truck filled with donations and at least two more trips with a smaller vehicle. We partnered with St. Finbar Parish in Diego Martin to ship the stuff across to Dominica. Many parishioners also made financial contributions to the cause. Even as this article is being written, donations are still being delivered to the parish to send to Dominica. A Facebook page was also created to disseminate information about the parish activities. Another project the parish began entailed financial support to Dominican tertiary-level students studying in Trinidad and Tobago. With the blessings of Father Letang and Taihisa Hill-Guye, the sister of Father Peter Hill, we were able to find donors who committed themselves to supporting some students until May 2018. This initiative became necessary because many of the students depended on monthly remissions from their parents for upkeep, food, and other needs associated with their studies. After Hurricane Maria many parents were unable to work, and some lost their jobs. Again, many parishioners were excited to be part of this effort, as they understood the pain of the students who were entering a period of uncertainty. Father Letang also approached the Redemptorists, who made a very large contribution to the fund, thus increasing the number of students who are receiving assistance. Further, we were able to get other corporate citizens to come forward and assist the students. 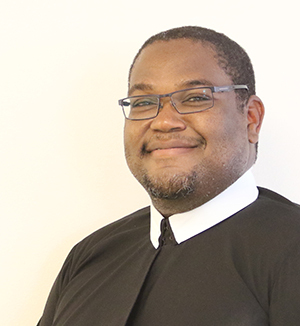 At various Masses after the Hurricane, Father Letang praised the parishioners and people of Trinidad and Tobago for their love, kindness, and unfettered generosity. He said he was happy to be a Dominican living in Trinidad and Tobago and invoked God’s continued blessings on the country.